Though I don't normally post about cosmetics I thought I could make an exception today for a few reasons. I informed you yesterday of four amazing sales. The right cosmetics can really amp up your style. For as long as I can remember I've had chapped lips. In addition to constantly being on the quest for the perfect hair, I have looked high and low for the world's best lip moisturizer. I grew up thinking Bag Balm was the cure-all for life's ailments, including chapped lips (if you are unfamiliar with this product, I dare you to look it up). My mother, still to this day, buys Clinique's Mauve Glaze and applies it with a retractable brush to keep her lips moist. While I could retreat to what's familiar, I found a fantastic product on a whim a few weeks ago and it has literally transformed my lips. If you haven't checked out the the website, www.rankandstyle.com, you should. At Target in early July, I decided to find their opinion on the best over-the-counter lip gloss. 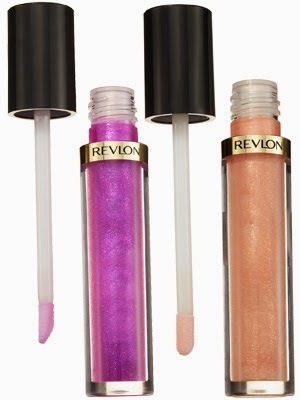 Alas, I present to you Revlon's Super Lustrous Lip Gloss. Available in a wide variety of colors, this lip gloss is super silky and shiny without being tacky. I have used it multiple times a day for the last few weeks and I haven't used my Bag Balm at all! At under $7 a tube, you can afford to try all the colors for less than some tubes of lipstick you'd buy at a department store. If you don't want to take my word for it, check out what Allure Magazine had to say.